High strength impact resistant Thermoplastic and nylon neck-protector. 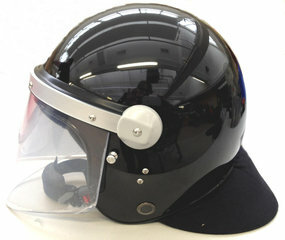 with 4 mm polycarbonate visor (Option with metal frame approx. 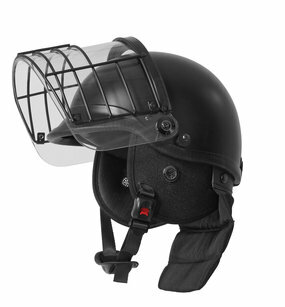 2-3 mm). 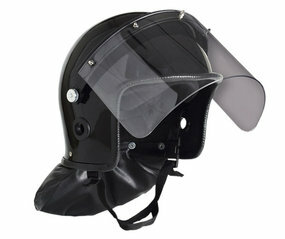 Shock absorbing foam padding comfortable inner harness with 3 point suspension system. 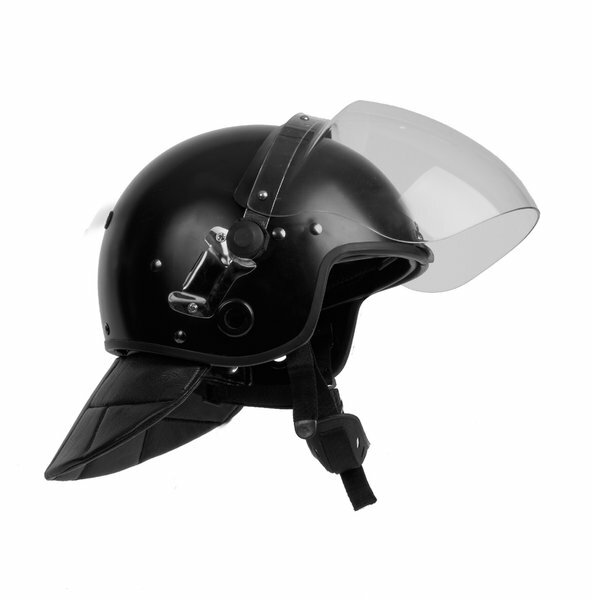 Temperature -20°C up to 50°C, Tested according TL1010319 for Riot Helmets and ECE 22/03 protective helmets. Further products you will find in our WEB-Shop or contact us directly.